The ultimate goal of new FDA guidelines on sodium is to reduce high blood pressure. But the proposals will also force food manufacturers to be more upfront with consumers about ingredients. WASHINGTON: The Food and Drug Administration unveiled guidelines this week with the goal of cutting the amount of Americans’ sodium intake by about a third, from an average of 3,400 milligrams per day to 2,300. 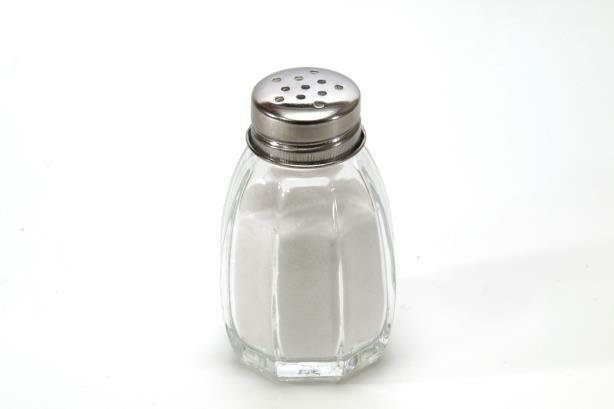 The FDA noted in its statement that most of the salt in American diets comes from processed and prepared foods, putting pressure on manufacturers and restaurants to begin lowering the amount of sodium in their foods. Melissa Musiker, global food, consumer products, and retail practice lead at APCO Worldwide, said the proposed rules should come as no surprise to food manufacturers. "We’re talking about something that’s been in the works for better part of a decade," she said. "This is not new. The work happening in the U.S. is predated even by the U.K., Norway, and other countries." The FDA, which has been working on these rules since 2011, has opened up the proposed guidelines to public comment for 90 days. It has introduced two-year and 10-year targets for implementing the guidelines. The protocols are voluntary for food companies, but Musiker said companies that don’t comply will be met with image problems. "It’s probably going to become more of a reputation play for companies," she said. "Everyone is going to be watching very closely how transparently they report progress, how willingly they move toward progress. If companies aggressively fight this, it may prove to be reputationally damaging to them." Many large food manufacturers have begun lowering sodium content on their own, including Tyson, General Mills, and Kellogg’s, along with sugars, trans fats, and artificial additives. The goal of the guidelines is to reduce high blood pressure, which has been linked to high-sodium diets. If sodium intake is reduced by 40% over a decade, it could save 500,000 lives and nearly $100 billion in healthcare costs, according to the FDA. With guidelines for and regulation of food products becoming more common, consumers are becoming more aware of what goes into their food. Meanwhile, manufacturers are feeling pressure to comply with FDA regulations, to be transparent with customers, and still make food that tastes good, Muskier added. "Consumers are thinking of food more holistically," she said. "Companies need to figure out how to make a cleaner label with lower additives that’s lower overall in salt, sugar, and fat and higher in the good things like protein and fiber."